Celebrity Masterchef winner Lisa Faulkner shares her easy recipe for barbecue chicken kebabs with a herby Argentinian chimichurri marinade. 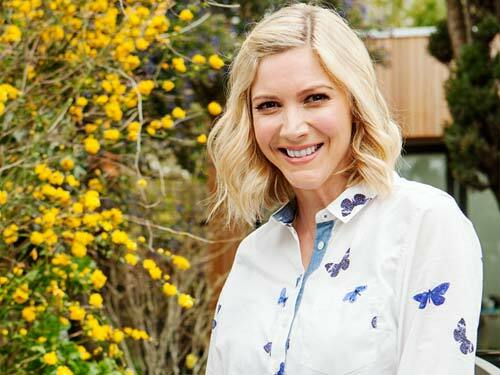 Lisa Faulkner demonstrates how to make BBQ chicken kebabs with a herby Argentinian chimichurri marinade. Cut chicken breasts into chunks or strips and tip into a freezer bag. Put the shallot, garlic, coriander, parsley, oregano and peppers into food processor and blitz. Then add the vinegar and olive oil and season to taste. Place in the freezer bag with the chicken and leave to marinate for at least 2 hours or overnight. Heat the BBQ until good and hot. Thread the chicken onto metal skewers (note, use metal skewers to ensure the meat cooks in the middle). BBQ for 6-7 minutes, turning until lovely and charred and cooked through. Rest for a couple of minutes whilst you griddle the pitta bread on both sides then open up and fill with the chicken and salad. Visit our barbecue section for more great barbecue recipes. Shop for a range of accessories including wood chips, tongs and grill dishes. Lisa Faulkner is an actress and winner of 2010's Celebrity Masterchef.